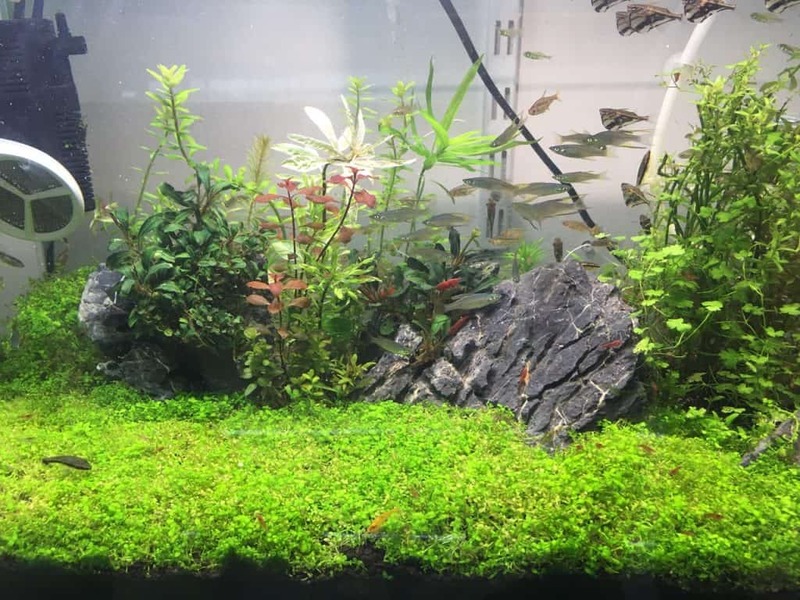 Some uses aquarium as home decor and some nourishes it as a hobby. 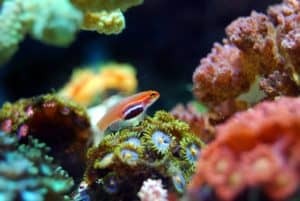 But there are many micro-organisms which may destroy your fish tank or may cause bad health of your aquarium in spite of having a filtration system. A UV sterilizer is that defensive equipment for one’s aquarium which can hinder the growth of those pathogens maintaining a better environment. In this article, we are going to learn all about UV sterilizer and also how UV sterilizers work in an aquarium. Firstly you should know about the UV light. What UV Sterilizer Actually is? How Does a UV Sterilizer Work in an Aquarium? What are the Efficiency Factors of a UV Sterilizer? It is the short-wavelength light emitted from the sun which splits into UV-A, UV-B, UV-C. UV-C is the shortest one which has the germicidal effect. UV-C is good in breaking molecular bonds, altering electronic configuration by which it works on the sterilizing process. The UV sterilizer is a tool that works via emitting UV light which mutates the DNA of micro-organisms when floating over or around the bulb (when quartz sleeves are used). By this, that particular organism can’t grow further which stops their reproduction. It ultimately shortens their life cycle and may also kill them. A UV sterilizer acts via a fluorescent bulb which emits light of 253.7-nanometer wavelength. As aquarium water flows through the UV system, it gets exposed to the light and gets sterilized. The UV-C light of UV sterilizer destroys the nucleic acids and disrupts the DNA of microorganisms which make them unable to perform their vital cellular activities. The light alters the molecular bonds by high energy photons converting them from simple weak chemical bonds to stronger ones in simple celled DNA material to be broken down. A UV sterilizer will only prevent the free-floating one-cell organisms without harming any other inhabitant or any surface attached inhabitants. They emit UV-C ray which has the germicidal ability and that’s how they sterilize the environment. And this light only targets the smallest free microorganisms not the attached substrates to the fish, plant or corals. And that’s how the UV sterilizer works in an aquarium. 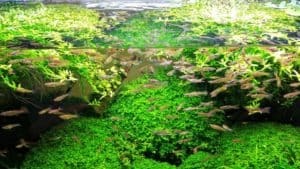 Even after having the biological, mechanical filtration system, some aggressive algae can grow in your aquarium. An aquarium is always exposed to nutrient and light which also encourage algae growth. And the most pathetic fact is that you cannot see their microscopic development in your aquarium. After developing to an adult stage, it shows turbidity in the water. And it may cause harm to the fishes also. And even after proper follow up you won’t realize when the algae spores made their dwelling in your aquarium. After that, there will be an algae bloom, parasites and so on. So for a healthy aquarium for your fishes, you need a healthy and strong filtration system including a UV sterilizer. According to your need, you can change the efficiency of your sterilizer to balance the aquarium environment. Age of Bulb: The ability to create UV light reduces with the age of the bulb. As the bulb gets older, it may lose its efficiency by 40% and reduces the radiation also. So it is a maintenance trick to replace the bulb every 6 months (manufacturer’s recommendation may be taken here.). Contact Time Power of Bulb: The more wattage of the bulb, the more UV light will be produced. Length of the Bulb: It influences the contact time. A longer bulb will provide a longer contact time between the UV light and water. Contact Time or Dwell Time: The more the UV light gets exposed to the affected water, the more killing power is available there. It is influenced by the flow rate. Mainly the focus remains on the flow rate which dictates the contact time. Flow Rate: Flow rate influences the dwell time. When the water flow rate is less, the contact time will become more giving more efficiency. Different flow rates are required to control different organisms. The flow rate of the returned water should be controlled for getting the best result. Turnover Time: It is the time which is required to get the whole volume of water of the aquarium to pass the sterilizer. But calculating this is a bit difficult as all the water may not be possible to get sterilized. (9.2 * gallons in a tank)/ rate of flow in GPH (Gallons Per Hour) = number of hours for 1 turnover. Temperature: 104-110 degree F is the optimum temperature for producing UV light. Cooler temperature will result in less UV production. Quart sleeves tend to work in insulating the bulb from the cooler aquarium and thus maintain a higher UV production. The Turbidity of Water: Clear water helps in good penetration. The less the turbidity of water, the more the penetration of UV light will be. If the water is particularly cloudy, you may decrease the flow rate until it gets clear again. It is also to mention that UV penetration is better in a freshwater tank than a saltwater tank. Size of the Unit: A large aquarium needs a large UV system to cover the full area. So, you need to buy one keeping the size of the aquarium in mind. If you buy a small UV system for a large size aquarium, it may not work effectively. Size and Type of the Organism: Larger organisms like protozoa require a higher amount of UV. On the other hand, a smaller organism like bacteria will require a lower amount of UV radiation to be inert. Apart from these some type of bacteria are more resistant to the UV radiation. But the good thing is that this UV light will not hamper the beneficial bacteria. These factors impact in maintaining the sterilization process properly. The UV sterilizer is effective for both the fresh water tank and saltwater tank. But this tool is a bit tricky to maintain so you should know every related info about it before getting it. Always wear rubber gloves in hand while touching the UV bulb for any purpose as you may cause damage to the bulb or get hurt. Never look at the lamp directly while working that can damage your eye. Plug out all the connections before your regular follow up to the aquarium or the UV system. Line the UV system according to the size of the tank. 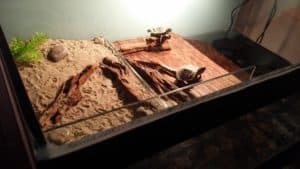 In a planted tank sometimes debris, dirt may accumulate around the bulb or lamp. Put an eye on that and clear that regularly otherwise it may hamper the effectiveness. A UV sterilizer will be not effective against strong algae or other nuisances which are not freely floating over the water. While using any medication, one should not use UV light as it may denature the medication. Especially during chelated copper treatment as the light will break the bond of that agent. It should not be used during the first cycling of the aquarium because it may harm or kill the good bacteria before they get attached to the substrate. The light may heat the water for which you may need a chiller in the environment. After knowing all these you might be thinking of buying one for your aquarium, but let me clear the fact also that a UV sterilizer is not the only one to clean up or maintain your aquarium. You can always use it with your main filtration system. 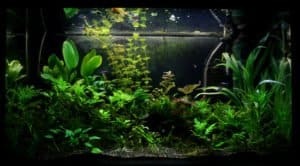 It will be great additional stuff but never make it the only filtration part of your aquarium as it will not be a wise decision. The UV light will kill the free-floating contaminants not the algae growth on the corals, walls and decorations, bacteria attached to fish. So you can’t use this as the “only” cleaner. It should be added also that it will give you some positive facts to consider while thinking about buying it. The taste of the water will not be degraded rather it may become better. It will not have any residual effect on the livestock. 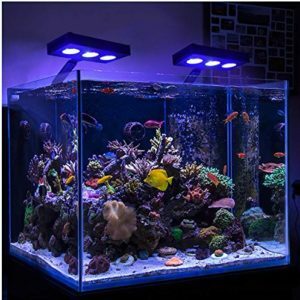 UV light improves the redox potential in an aquarium or pond by lowering oxidative stress and thus improves the ability of fishes to tackle diseases. It will have no side-effect like the other chemicals. You will need to change the aquarium water less often which will reduce the workload of the filter. It saves your overall power consumption. It is found that a UV system’s energy consumption equals that of a 60-watt bulb. Easy to use for anyone.